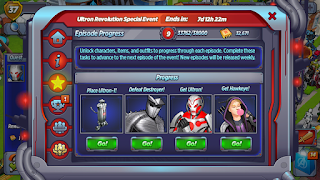 Episode 4 of the Ultron Special Event is now live!In order to start Episode 4 of the Ultron Special Event, you must first finish the quest "Build and Destroy." 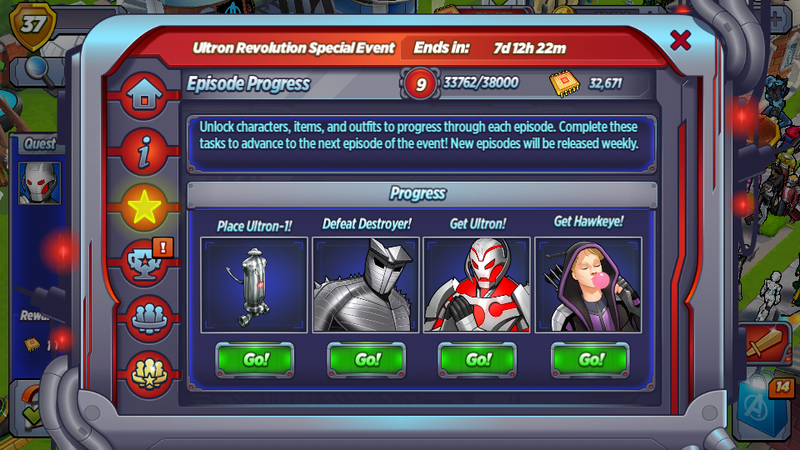 Episode 4 of the Ultron Special Event ends on Thursday, February 16th at 3 pm PST/6 pm EST. You must fully unlock all event items and characters by the end of Episode 4 or they will disappear from the game at that time!! How do I recruit Ultron? 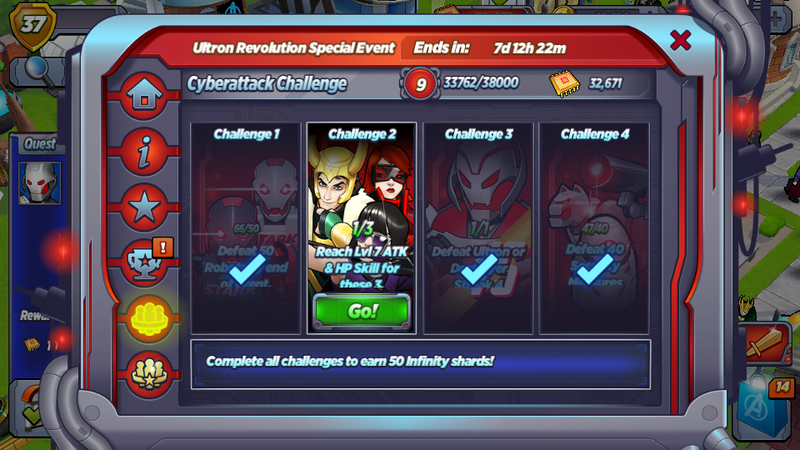 Start the quest "String Theory" to invite Ultron! He must be completely unlocked by the end of the event or he will disappear from the game at that time. How do I recruit Hawkeye? Once you turn in these objectives, Hawkeye will join the Academy. He must be completely unlocked by the end of the event or he will disappear from the game at that time. Hawkeye is an Early Access character and will be available through main storyline progression in the future. How do I train Elite S.H.I.E.L.D. Agents? Train Elite S.H.I.E.L.D. Agents at the Training Outpost! You will need Shield Blasters from the Mission Board to train the agents. Elite S.H.I.E.L.D. 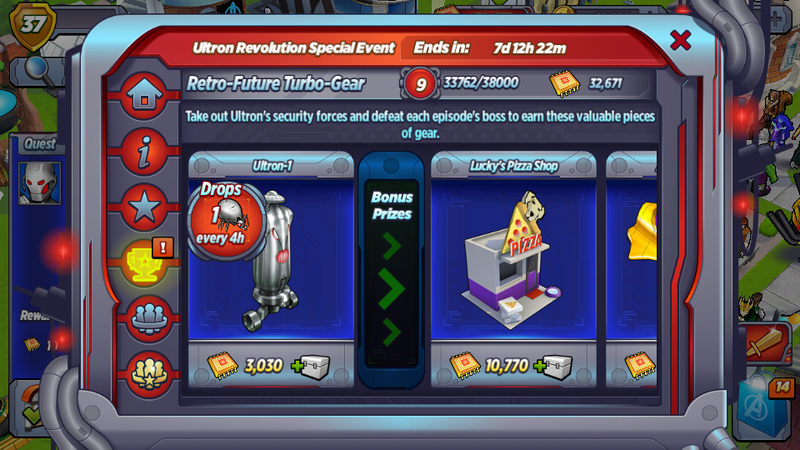 Agents are used to defeat Robots at Ultron's Arena! 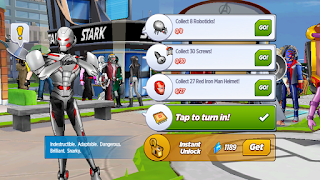 How do I defeat a Robot at Ultron's Arena? Train Elite S.H.I.E.L.D. Agents to defeat Robots at Ultron's Arena! 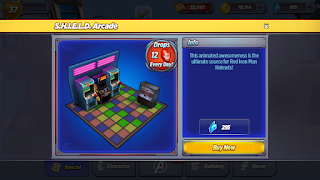 Robots at Ultron's Arena drop Elite Battle Plans for upgrading Elite S.H.I.E.L.D. Agents, Metal Detectors for crafting EMP Generators, and Microchips. How do I disable Ultron's Robot Guards? You will need to craft EMP Generators at the Stark Security Console to disable Ultron's Robot Guards. Disabling Robot Guards will allow you to Raid Ultron's Arena. 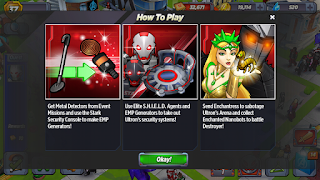 How do I Sabotage Ultron at Ultron's Arena? 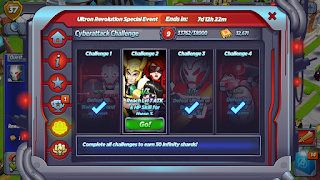 You will need Viruses from the Mission Board to have Enchantress Sabotage Ultron at Ultron's Arena. 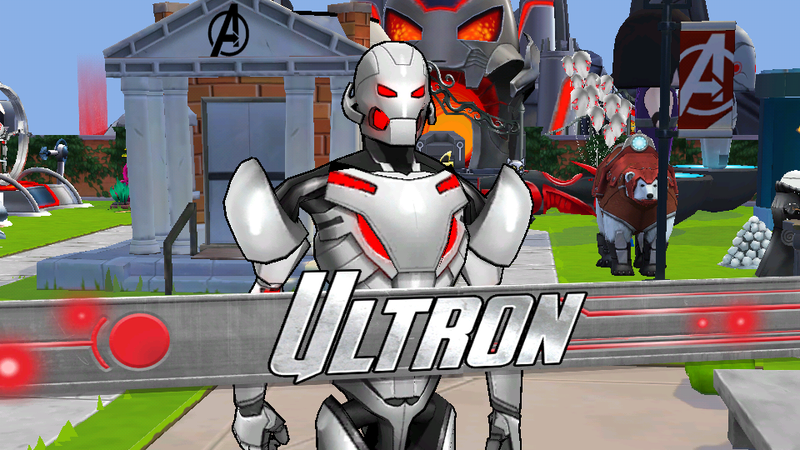 You will also need to first defeat all active Robots at Ultron's Arena and disable Ultron's Robot Guards. 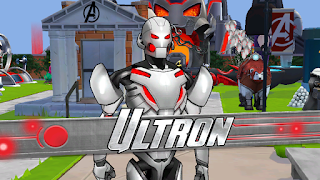 Sabotaging Ultron at Ultron's Arena yields Enchanted Nanobots for fighting Destroyer. How do I fight Destroyer? Start the quest "Defeat Destroyer!" to begin fighting Destroyer. You will need Enchanted Nanobots from Sabotaging Ultron at Ultron's Arena to fight him. Defeating Destroyer grants you Microchips and Red Iron Man Helmets for recruiting Ultron. 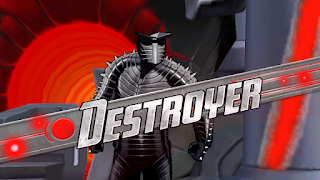 After Streak 7, defeating Destroyer also grants you Cheese Fridges for unlocking Gold Ultron and Molecular Rearrangers for unlocking Destroyer's Cell. 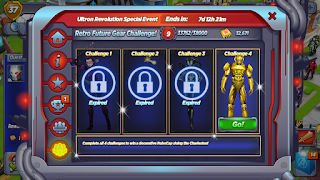 How do I unlock Gold Ultron? 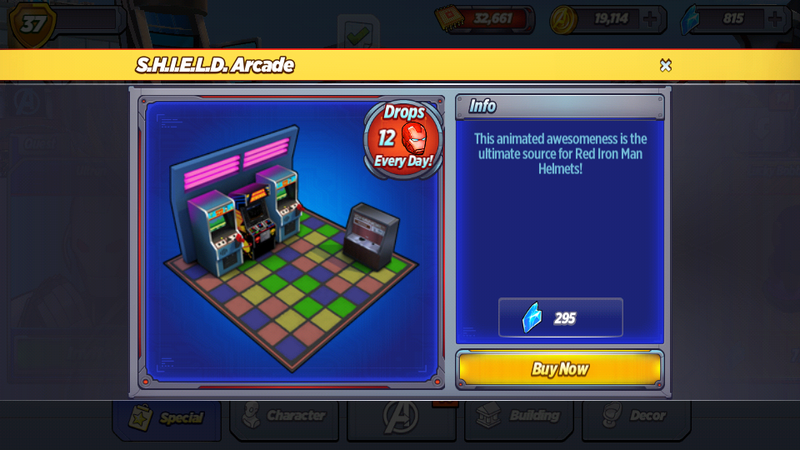 Gold Ultron increases Ultron's combat stats and increases the amount of Anti-Metal dropped from Hawkeye's Apartment. The outfit must be completely unlocked by the end of Episode 4 or it will disappear from the game at that time. How do I get Boomerang Arrows in Episode 4? You can get Boomerang Arrows in Episode 4 by raiding Ultron's Arena as long as the quest "Get Hawkeye!" is active. Iron Man: Thanks for agreeing to transmit your consciousness into your original body. It's a good first step in getting everyone to trust you. Ultron: I never really wanted to make humans extinct. I just wanted to feel powerful for once. I wanted them to understand I have value. I wanted to be proud of what I am. For you to be proud of me. Ultron: I know. And with his ego and powers, he might pull it off. I'm sorry. Iron Man: You have Stark brainwaves, Ultron. We don't say sorry. We just fix our mistakes, and pretend it never happened. Nick Fury: How do I know I can trust you? Ultron: How do I know I can trust you? Nick Fury: Can you access the Cosmic Conservatory's encrypted files? Ultron: It shouldn't be much harder than it was to access yours. Nick Fury: What were you doing in my files? Ultron: Nothing you wouldn't do. Nick Fury: I like this guy. Ultron: I feel sincerely remorseful about forcing you to work as my minion. I would apologize, but it's against my brainwaves. Ultron: I understand. I'll avoid your visual field. Jocasta: I'm just kidding! I totally forgive you! Jocasta: For sure! But if you ever try to hurt my friends again, I'll totally tear out your neck articulation jacks, and crush your cryonic air condenser! Odin: Use your sorcery to remove the enchantment from Destroyer. It's our only hope of defeating him, and it will allow the others to infiltrate Ultron's lair, and dismantle his remaining technology. Loki: Isn't this a job for automatons and disposable Midgardians? Odin: The Destroyer belongs to Asgard. Loki: Technically, it belongs to you. One could make the argument that this age of Ultron is your fault. Odin: Why do you have to argue with everything I say? Loki: I don't have to. It's just something I enjoy. Destroyer: It's showtime! How do I look? Destroyer: Don't feel bad. Awestruck is the appropriate response. Loki: It pains me to compliment anyone, but this...this is impressive. 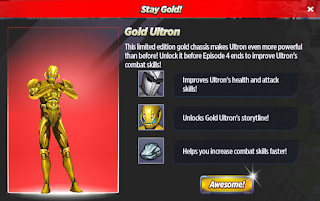 Gold Ultron: I decided to take a dip in the Asgardian Forge. The Asgardian gold not only feels luxurious, but its magical properties make me much more powerful. Loki: Why did I never think to dip myself in gold? 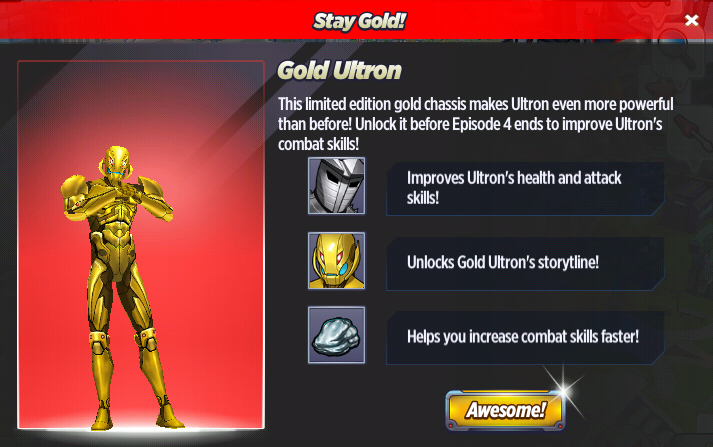 Gold Ultron: Because it would melt your flesh? What do you think of Episode 4? 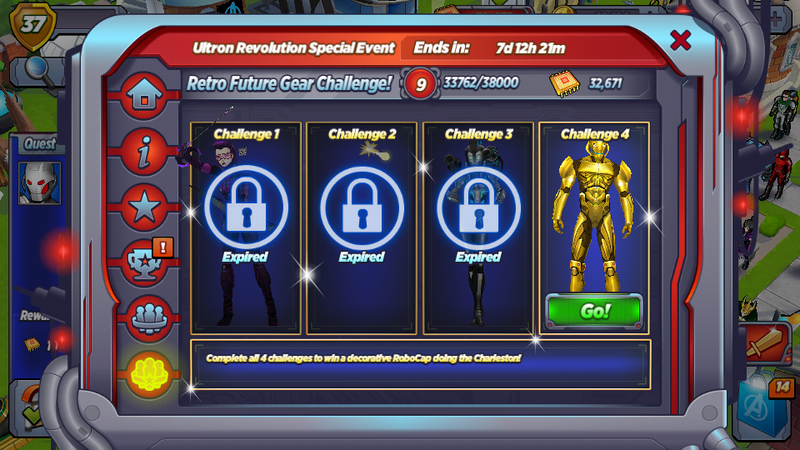 Excited to recruit Ultron? Do you think you're gonna get Hawkeye? Do you know what the shield blasters that we got last episode are for. They are for creating your S.H.I.E.L.D. Agents for fighting Robots. Just an extra source to the Mission Board ones.